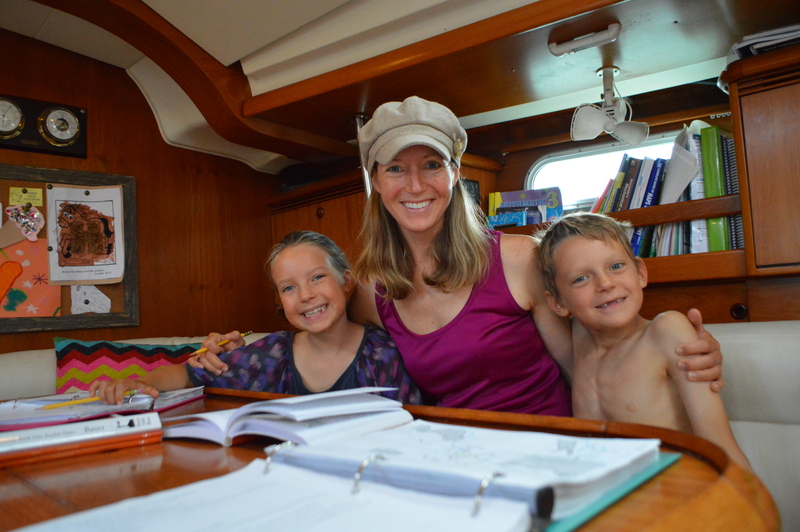 We’ve had many people ask us questions about homeschooling on a boat. Now that we have over five months under our belt, I feel I can answer the questions with more confidence and knowledge. But ask me again in six months and I may answer these questions differently. There is definitely a learning and patience curve with becoming your kids’ teacher. Here are some questions we’ve been asked from friends back home and people we’ve met during our travels. Yes and no. Teaching the material is actually a lot easier than I thought it would be. But then again, Joellen is finishing up third grade and Camden second. Luckily I’m not having to teach AP Chemistry yet. The most difficult aspect of homeschooling is maintaining patience. As any parent knows, your kids always behave better with other people than with you. When I volunteered at Joellen and Camden’s elementary school back in Indiana they were such angels. They would sit so quietly in class and raise their hands respectfully. 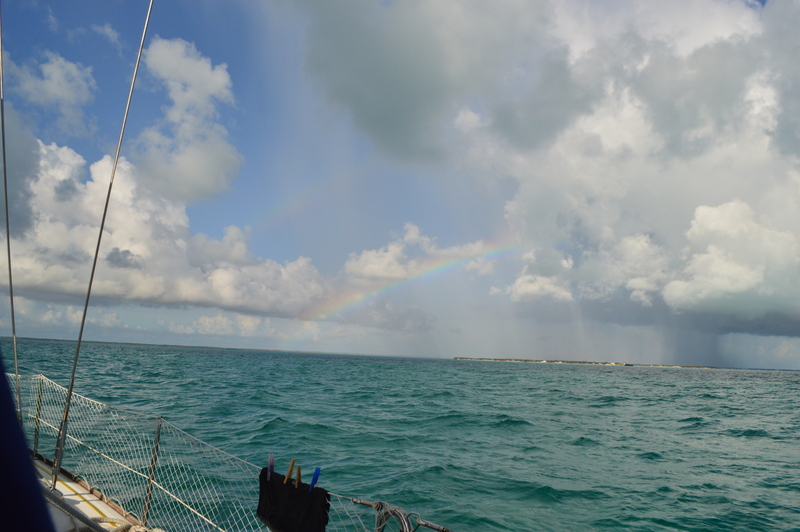 Sometimes here on the boat it’s like I’m trying to teach two wild baboons. I don’t know how many times I ask them, “Please focus and stop goofing around.” Even though they interrupt me sometimes, I’m proud to say it is with really good questions. I love all the questions they ask but I am just working on them holding their questions until I’m done talking. Oh, and then add a three year old in the mix. 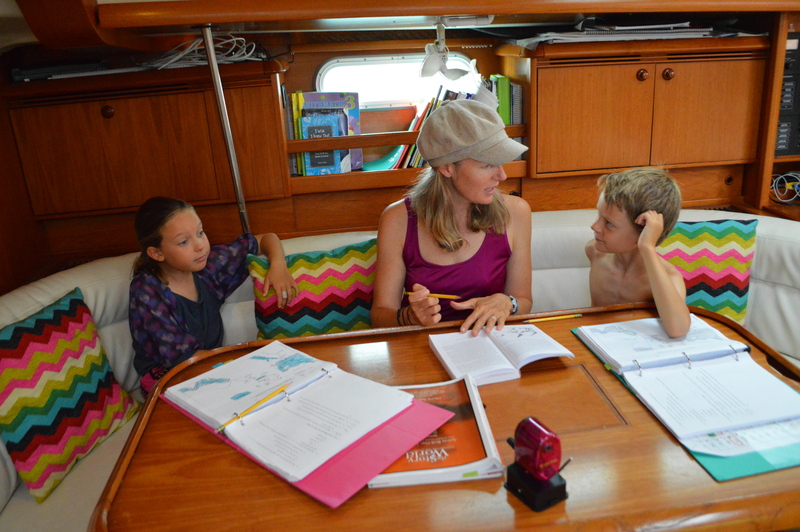 Marc and I take turns homeschooling and the person not teaching takes Maria off the boat. 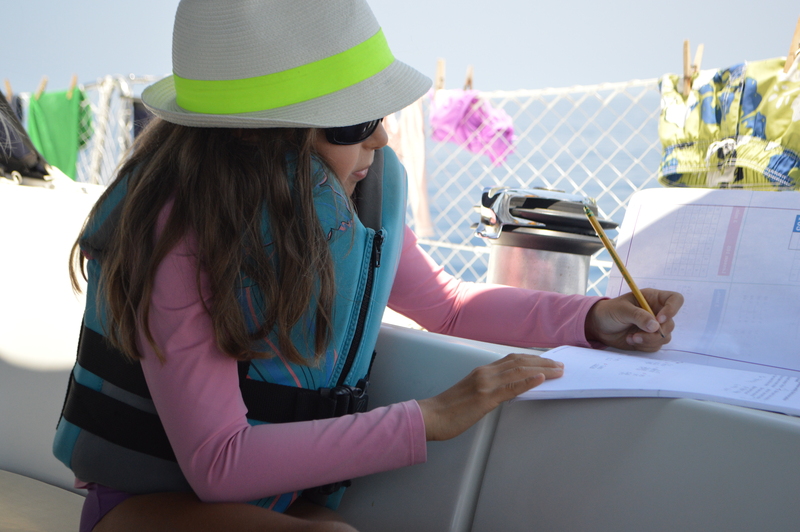 It is close to mission impossible to homeschool while having Maria onboard. I’m not sure how others homeschool with little ones around. We find it very difficult. But luckily there are two of us adults so it is manageable. What do you love about homeschooling? I love being able to give my children the gift of knowledge. I love watching their wheels turn and how they ask so many questions because they really are interested. I love having this time with them because as everyone says they grow up so fast. The days I want to jump overboard and swim to shore for some alone time, I just think about them one day leaving home for college and how my heart will ache. Having this one on one time with them truly is so special. Another aspect I love about homeschooling is how I don’t have a time limit and set schedule. Some days we start school at 7:30 am and other days we start at 10 am. Many times we get into really deep discussions and therefore will stay on that subject for a long time. And many times the discussion we have will lead to more questions and more discussions. I don’t have to stick to a syllabus. We get into a lot of discussions about world history and current events. Currently Joellen and Camden are really interested about the Cuban/US relationship and also ask a lot of questions about slavery and the Civil War. (I really need my dad here since he is a Civil War buff.) 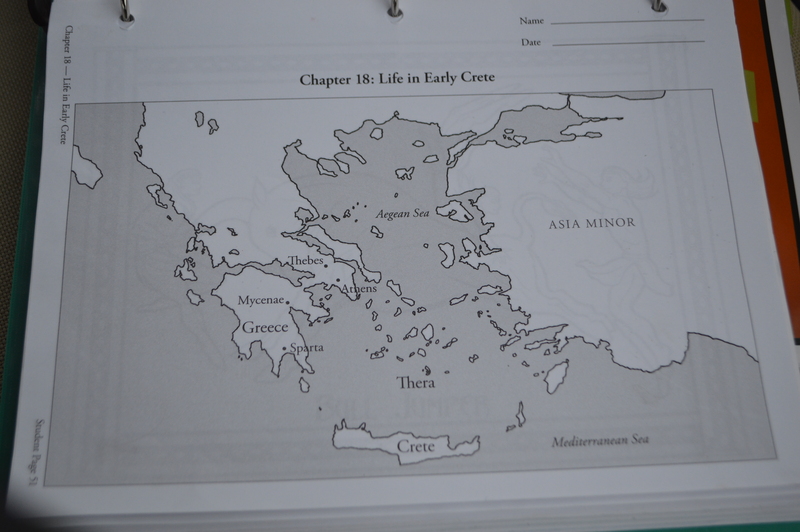 I also love the curriculum my friend Julie helped us pick out…it is top notch and I’m learning a lot even at the second and third grade level. What do the kids love about homeschooling? Joellen and Camden love spending so much time with us. And they love the student:teacher ratio. They are truly enjoying what they are learning, especially in Story of the World (see below). Only having a 3 to 4 hour school day isn’t too shabby and being able to do school work outside is a big plus. How many days a week do you homeschool? We homeschool Monday through Saturday year round. 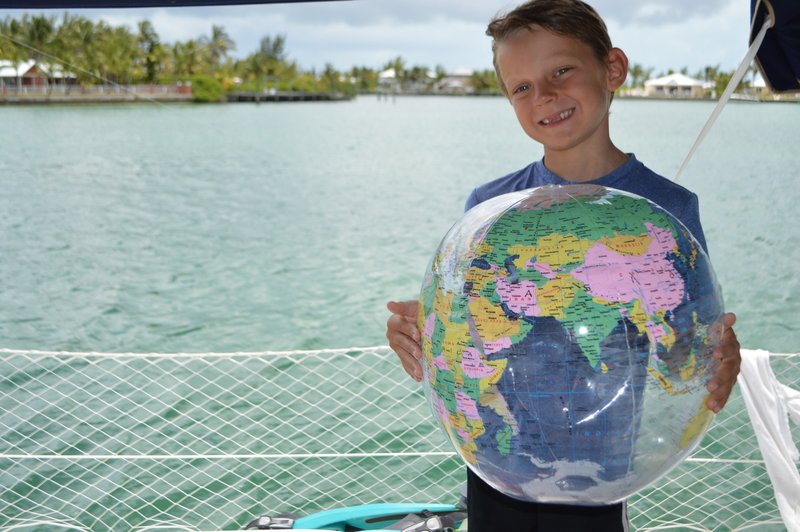 Most other cruising families we’ve met also have adopted the Monday through Saturday schedule, but we’ve met other cruisers that homeschool Monday through Friday or even Monday through Thursday but with longer hours. But we have found six days a week with three to four hours per day works best with us. 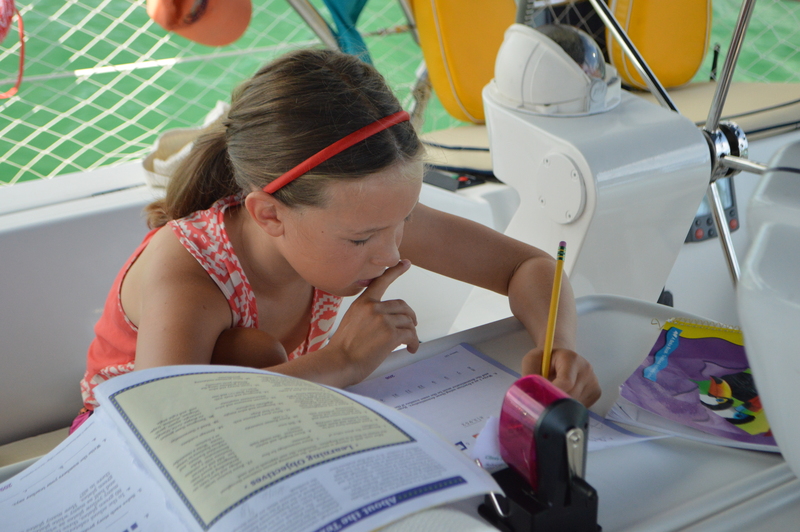 The days that we are sailing and moving to a new port, we don’t homeschool. Marc and I need to concentrate on sailing and keeping Maria entertained while sailing. 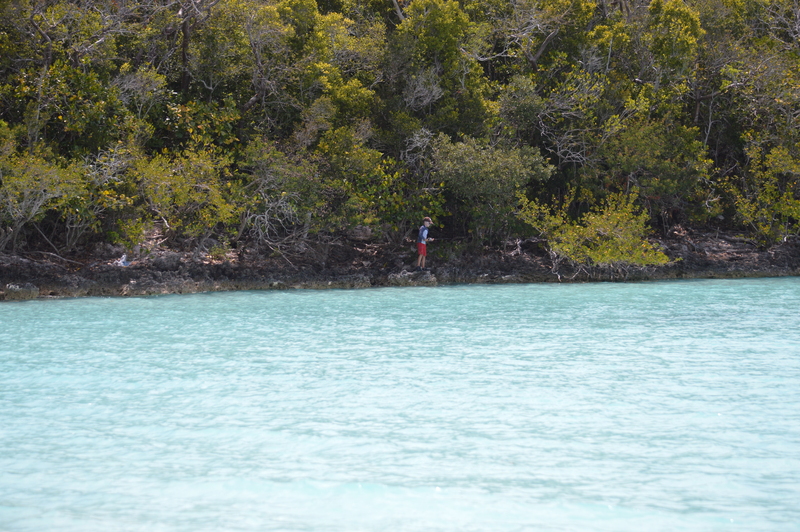 Plus, when the boat is heeled and bouncing, it does not make the best environment for school. Also, when we have visitors we don’t homeschool. How did you choose your curriculum? 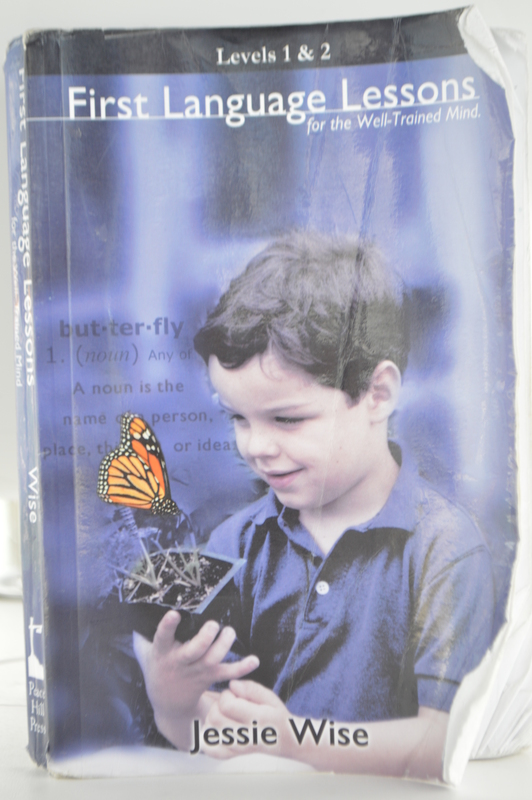 Many homeschoolers choose one company and use them for all the various subjects. We had our friend Julie (she is the Indianapolis homeschooling guru and the one of the coolest people you’d ever meet) pick out our curriculum. Julie has been homeschooling her kids for over 16 years now and has tried all the different programs so knows which are good and which are bad. She knows which are boring and which are captivating. 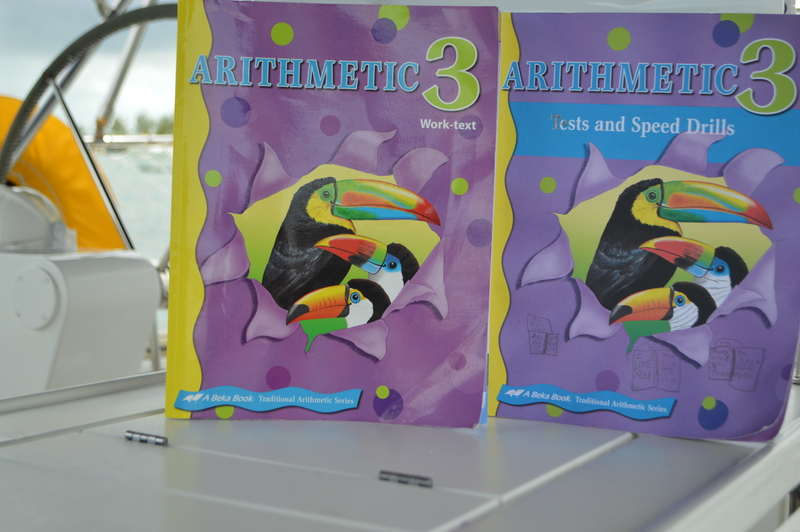 Choosing our curriculum was easy…I just bought the books Julie told me to. I bought most everything through a website called Rainbow Resource. We do not follow the common core curriculum. 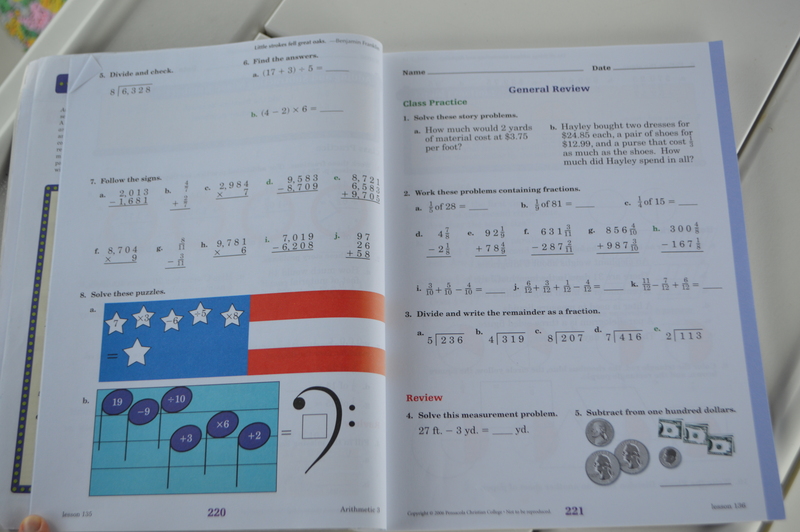 There is a lot of controversy over the common core and many people have strong opinions on both sides. We recognize that it is a hot topic and would recommend to research the topic as there is lots of information on it on the web. We feel that for our current season of life, this is the best approach towards our childrens’ education. 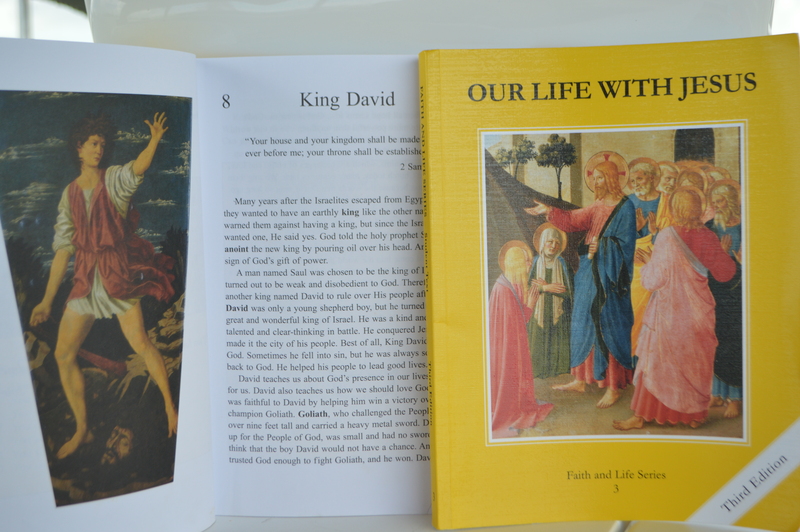 Below are pictures of the books we use and a short description. We truly couldn’t be happier with our curriculum. Math: We use Abeka. It is typical math but the pages are colored and there are pictures which actually makes it more interesting to a 9 and 7 year old. We also do flash cards every day. Because Joellen and Camden are at different math levels, this is the one subject where they have different books and I’m not teaching them the exact same thing. I teach Math most days, but sometimes Marc covers it. Grammar: We use a book that has you cover one short page a day. But it stays on the same topic for many days to really have it sink in. It’s a good review for me because I’ve forgotten a lot of the grammar terminology. I always teach Grammar. 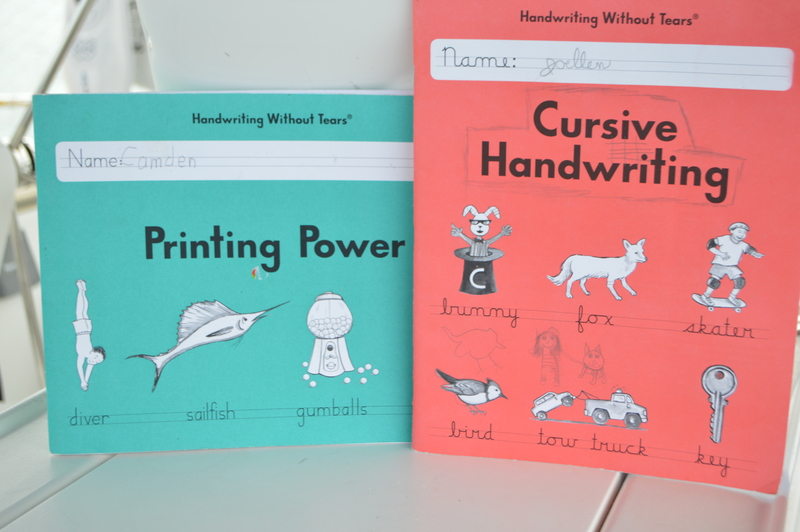 Handwriting: We think proper and neat handwriting (both print and cursive) is very important. I used to sit right beside the kids when they did it but now I have them work in their handwriting books while I’m making coffee and waking up. I’m the handwriting checker. Writing: We actually don’t have the kids do a lot of creative writing. 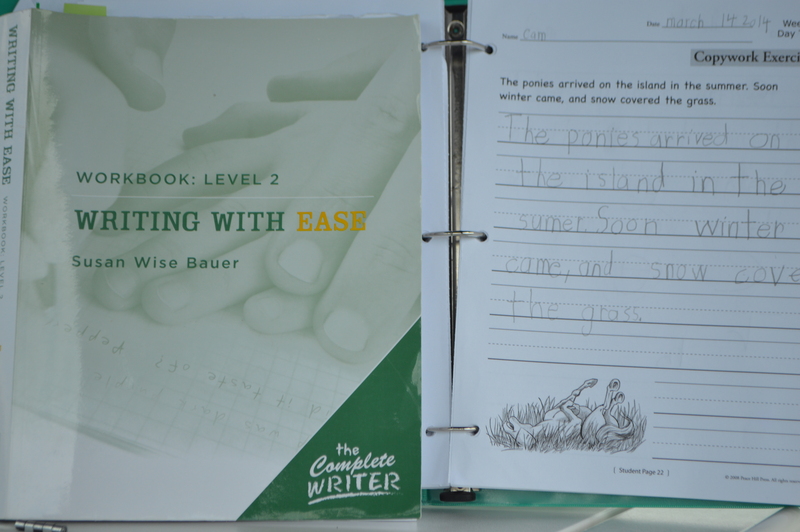 It’s a long story of why we are putting that off until later but Writing with Ease concentrates on reading passages from classic books, answering questions from the reading, summarizing the passages and writing sentences correctly with never any misspellings. At first I thought Writing with Ease would be dry but we’ve found it really fun. I teach this subject. Reading: We try to have the kids read to us for at least a half an hour every evening before they go to bed. They also read on their own sometimes. Joellen is into fiction and Camden is into non-fiction. Geography and History: This Konesco crew is geography and history crazy. 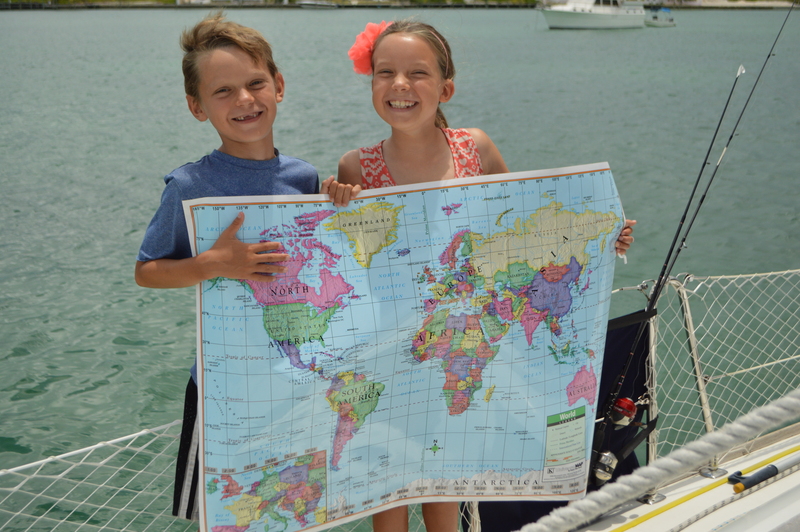 We have lots of maps on the boat, everything from maps of the US to maps of the world, to a blow up ball globe, to puzzles of maps, to sailing charts. 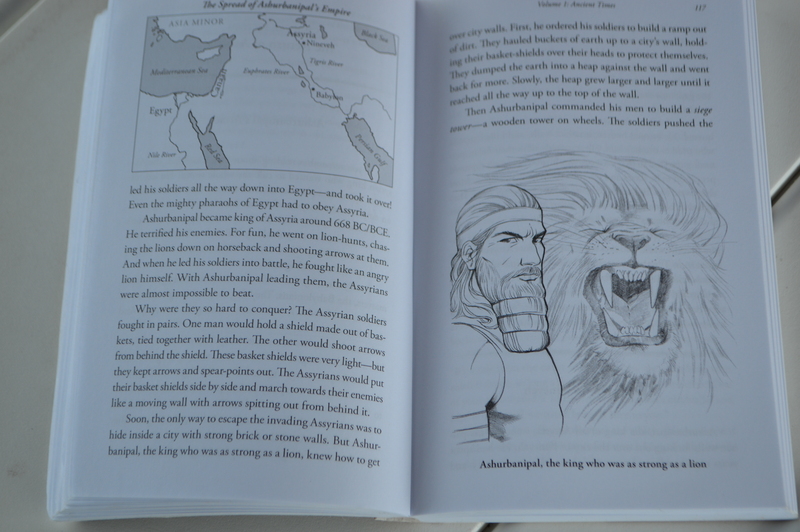 And one of our favorite books, “Story of the World”, is all about history, geography and English comprehension all rolled into one. Story of the World is by far our favorite part of homeschooling! We also really like a book I picked up at the last minute in Fort Lauderdale at Barnes and Noble in the children’s section called “I Wish I Knew That Geography.” Marc and I switch off teaching Story of the World and geography. Religion: We follow the Faith and Life series that our church back in Indianapolis uses. It is very engaging and the kids love it. I think they know more than I do now. Marc teaches this subject and he’s really good at it. 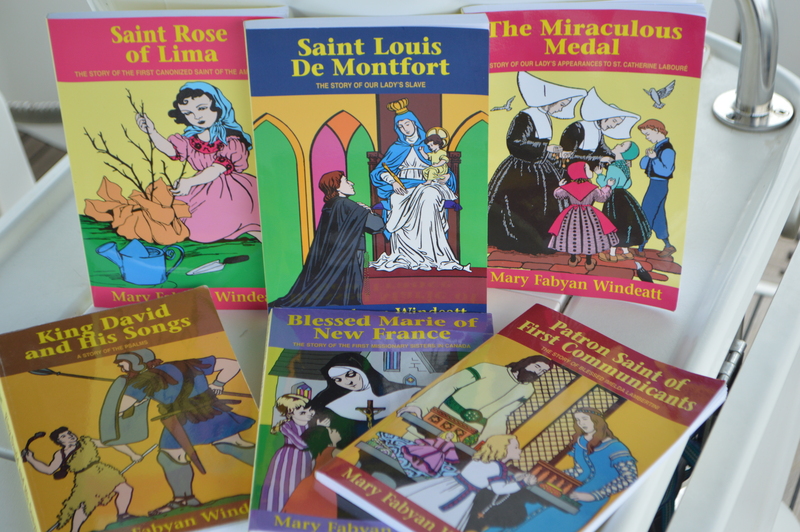 We also read saint books from TAN books by Mary Fabyan Windeatt. These books are written for children and are fantastic. We bought the whole series and we try to get through one saint book a month. 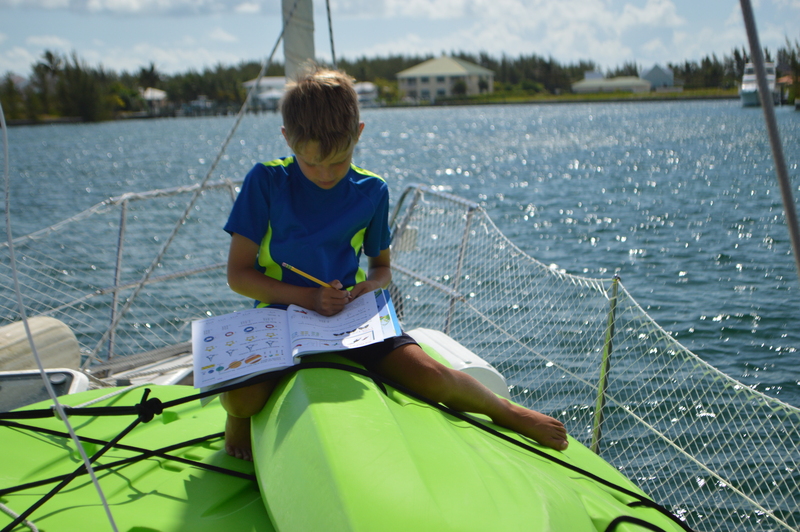 Boat School: Marc leads this and teaches Joellen and Camden all aspects of sailing. They learn everything from points of sail to how to tie knots. 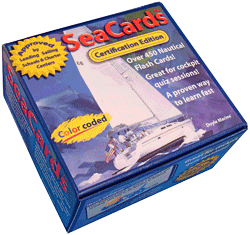 One of the tools Marc uses for teaching boat school is SeaCards by Doyle Marine. It’s a box of over 450 nautical flash cards with basic but important quiz questions. Science: This one is easy! The kids’ entire day is surrounded by science. We have had tons of discussions about weather, marine life, the environment, and geology. 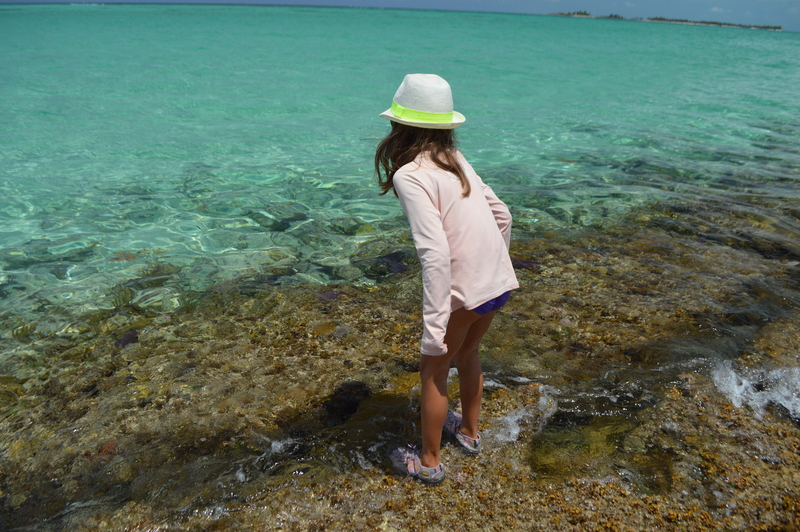 Because we are surrounded by nature, the kids are constantly asking questions so the learning never ends. We do not follow a textbook for science. 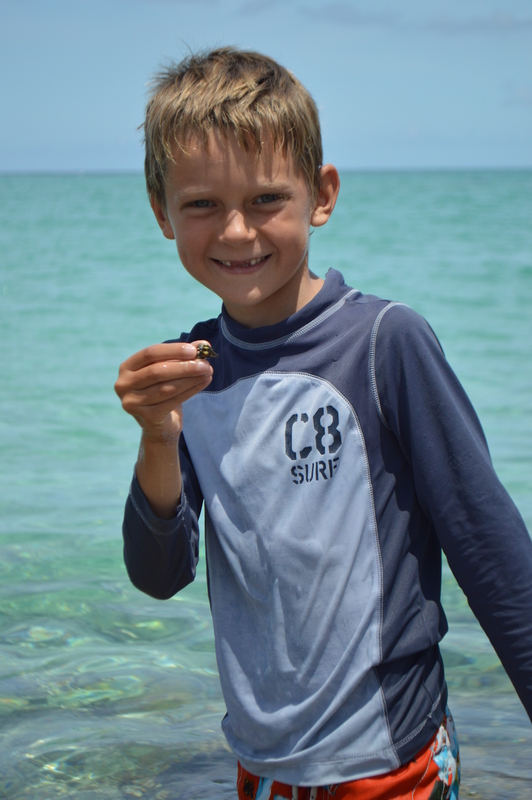 Our obsession with hermit crabs continues. 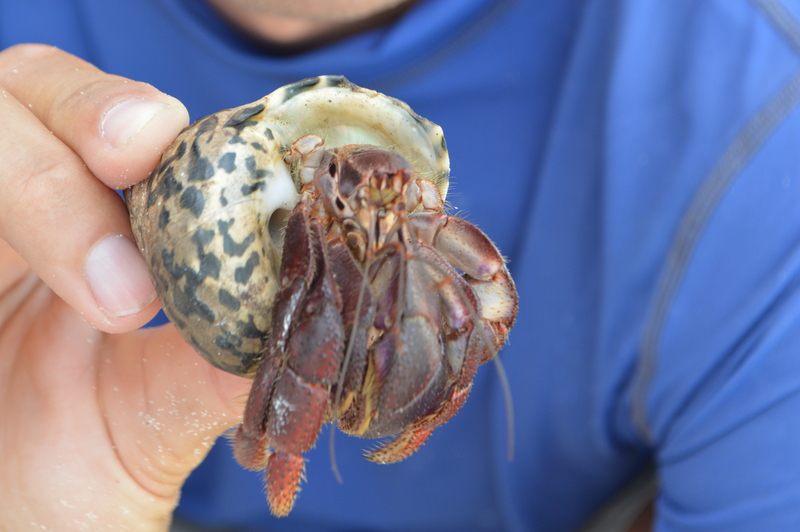 We found this big guy at Treasure Cay. We bring a garbage bag with us every time we head to the beach. 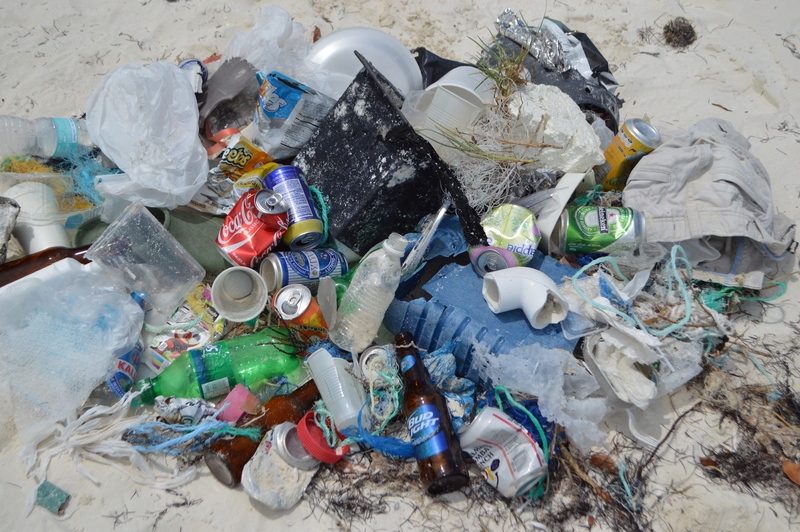 Could not believe the trash Marc, the kids and I picked up in 5 minutes time at Treasure Cay. A good lesson in trash and the environment. Spanish: My parents bought the kids Rosetta Stone Homeschool Edition for Christmas. This is the one subject the kids do on the computer but it is not through the internet. I downloaded the CDs so it’s all on my hard drive. It is very interactive and full of pictures and talking. Joellen and Camden even get to talk into a headset which they think is really neat. We want our kids to learn Spanish at an earlier age (I started Spanish classes in middle school). Also, since we are leaving for Costa Rica in a month I’d like the kids to be able to habla un poquito Espanol. Art: I thought we’d do more painting and coloring and making crafts. 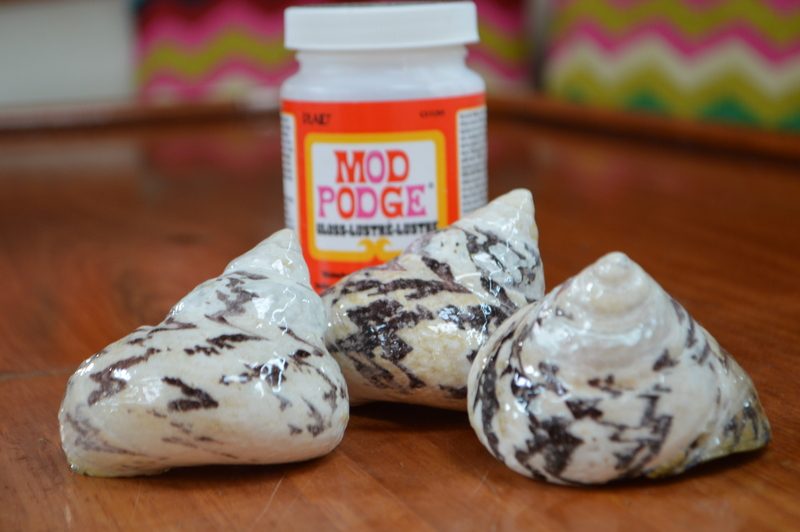 I went to JoAnn Fabrics before we left the US and stocked up on those supplies but what we use more than anything is Modge Podge. We Modge Podge everything to preserve it, make it less breakable and make it shiny. Mostly we Modge Podge shells, sea biscuits, sand dollars, and large snail shells. And of course building sand castles is art. Phys Ed: This one we have covered no problem. After homeschooling and lunch, the kids have a five hour recess. They exercise so much that they are always hungry and eating me out of house boat and home. Fishing: No way could I leave this subject out. 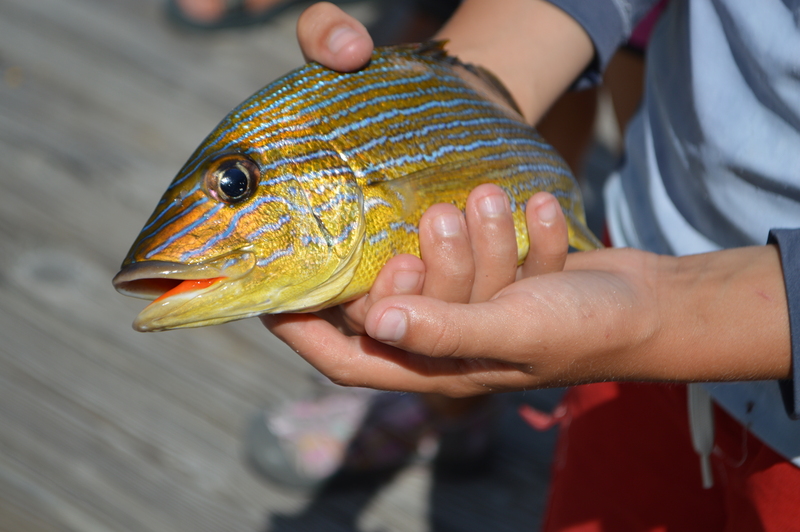 Fishing may not be a part of our formal homeschool curriculum but it has become a huge part of Camden’s learning while living on the ocean. From the moment he wakes up to the moment he falls asleep, this boy is talking about fishing. It’s hard to believe that five months ago Camden knew virtually nothing about fishing. His love and knowledge of fishing has grown exponentially and it is so fun to see Camden learn more and more each day. He now reads books about fishing and holds long conversations on the docks with sport fisherman, asking them a million questions. We can’t believe how much fishing knowledge Cam’s brain retains and how he sputters off fishing facts all the time. 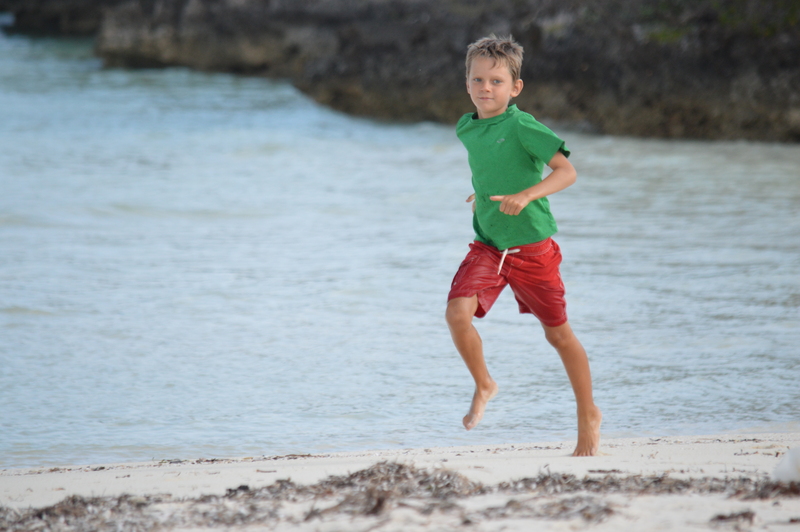 Will you continue homeschooling once you move back to the US? Only time will tell. 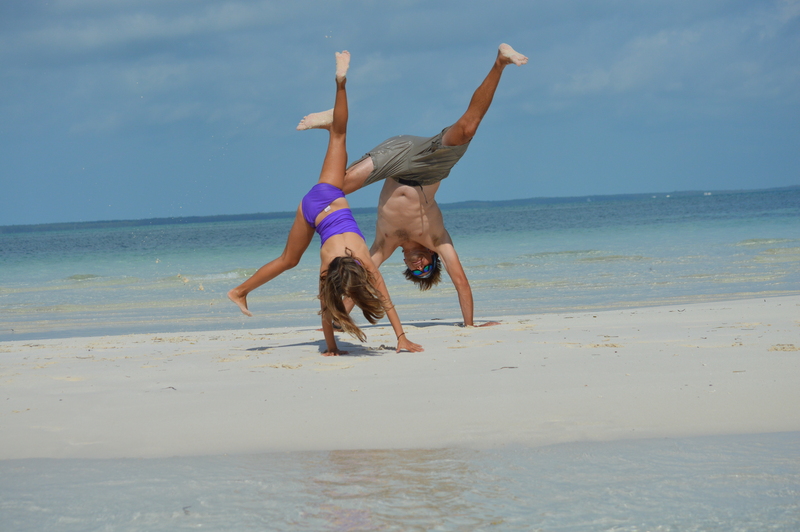 Some days we think that we will keep homeschooling the kids once we are back stateside but other days we think not a chance. It will depend on whether the kids want to keep being homeschooled, where we move to, what the public and private schools are like, what homeschool opportunities there are (like a homeschool co-op), and whether or not I go back to work part-time, etc. 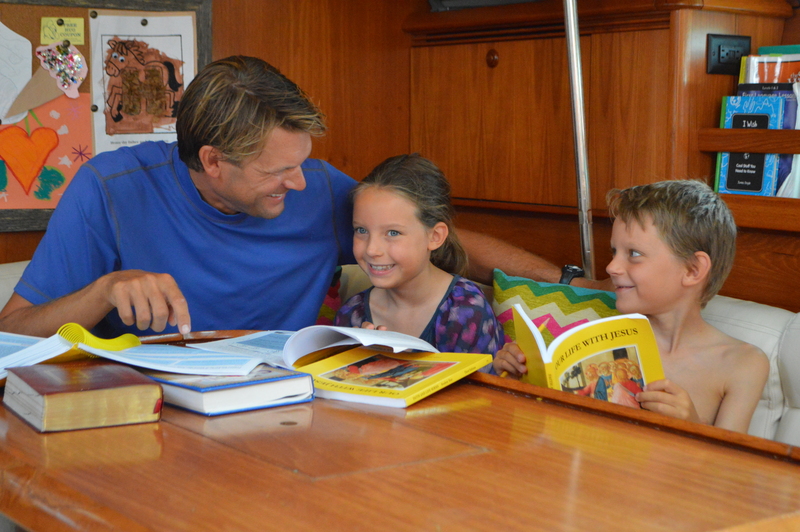 I hope these questions and answers can help others out that are contemplating homeschooling on land or at sea. Marc and I are not experts, but if you have any questions, feel free to ask us on the blog or e-mail us directly. I wwill for sure check out your blog. Congrats on almost casting off the bowlines! I will follow your blog. Happy cruising!! Wow…you and Marc are doing an amazing job! I’m so impressed with everything you do with the kids. 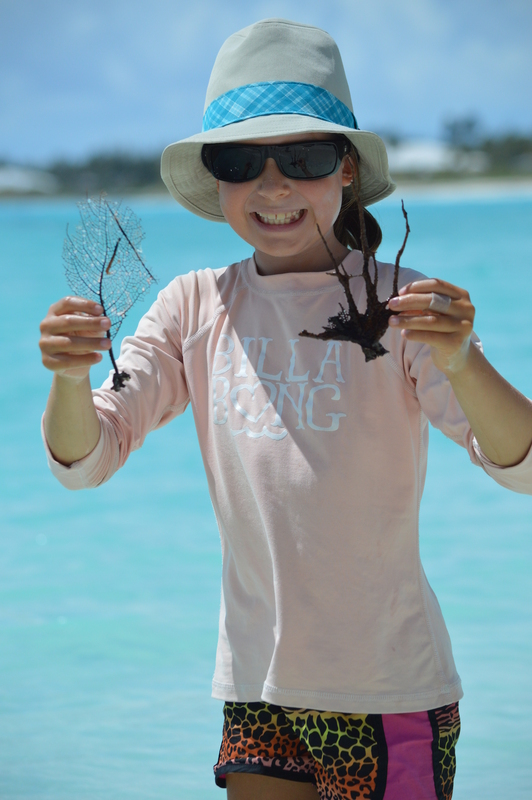 I especially like science learning whenever the opportunity happens…no better way! I can’t wait to read your next post! Such an awesome post! I might pick up some of these books for my kids. 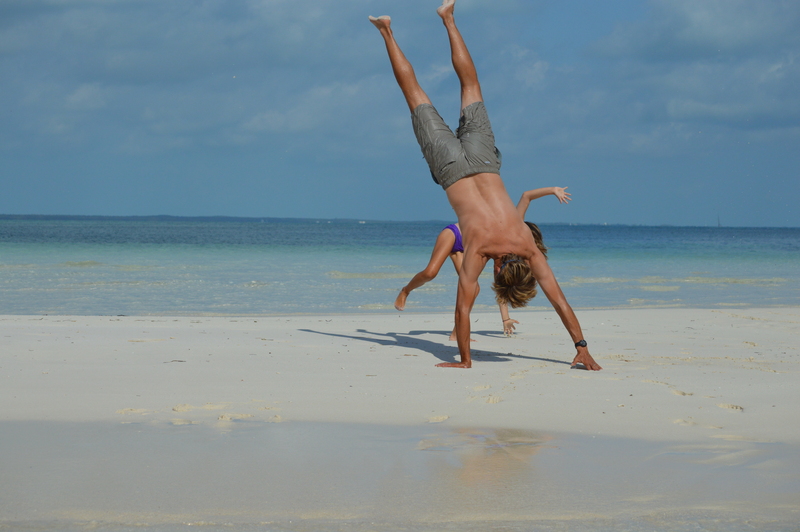 Now that summer is here, we have fewer activities and more time to do things like this. Plus, N gets bored out of his brain if he is not challenged some in the summertime! Looks like fun to me! 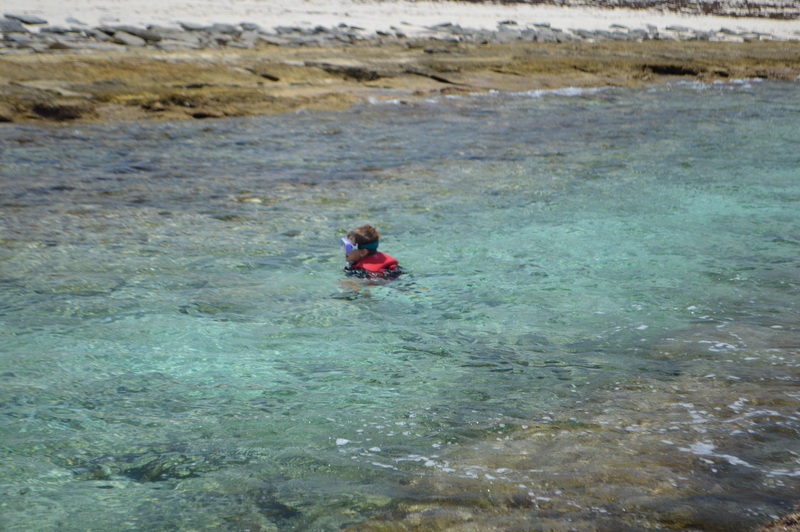 Great thing about homeschooling is that you can do it anywhere! (I have to ask—–any music schooling going on?) LOL! I knew you’d ask that!! No music schooling going on now. But, we will move back to the US in a year. Camden wants to play the guitar and Joellen wants to take piano lessons. And of course I will try to influence them to one day play the trumpet. Funny story…a month ago the sun was setting and everyone at the anchorage was getting their conch shells out to blow when the sun set. All of us conchers think it is pretty neat. Well we were shown up when a man a few boats over busted out his trumpet and played Taps when the sun set. Now that is cool! I should have packed my trumpet on board!! Thanks Mr. Kimball for being such an inspiration to me and being the reason why we named our boat a musical term. I’d love to see you all when we come back to Marietta to visit a year from now. Will look forward to seeing you then—meanwhile we enjoy your blogging immensely! 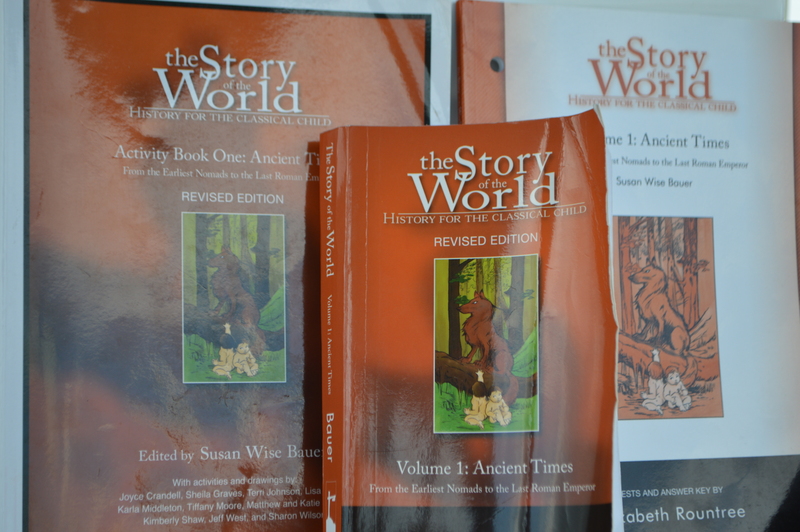 We just finished the 4th book of Story of the World yesterday. It was my 2nd time through the entire series. I love it more each time! I gazed lovingly at First Language Lessons. Just a brilliant book! So glad you are using it! Love sharing your journey through your blog! Thanks for everything Julie. You are the bomb!